For over a quarter of a century, The Cyprus Review has been at the forefront of scholarship on Cypriot political, social and economic issues, encouraging research and reflection on social and political sciences pertinent to Cyprus. 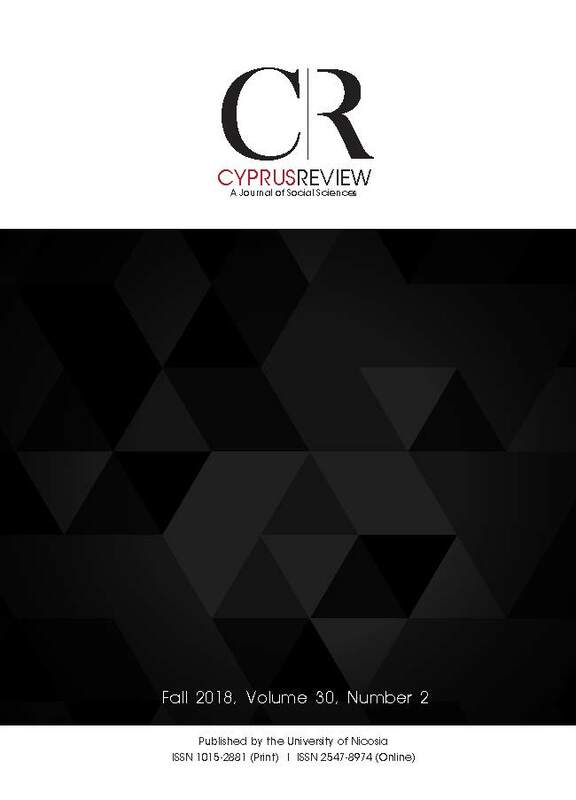 Founded in 1989, The Cyprus Review aims to serve as the forum where original research is presented and to shape discussion of the most important and topical issues through a rigorous scholarship selection and editing process. Meeting the highest international standards, The Cyprus Review aims to widely disseminate its content and engage in an international dialogue on Cyprological issues. We are interested in topics pertinent to Cyprus and covering Social Sciences in the widest possible interpretation of the term, primarily in the fields of Anthropology, Demography, Economics, Education, European Integration, Geography, History, International Relations, Law, Linguistics, Philosophy, Politics, Psychology, Public Administration and Sociology.